I'm feeling a little sad tonight because it's our last Heart of Christmas post for 2018. I hope that you have enjoyed seeing our weekly creations and that you have gathered lots of inspiration for your festive crafting. 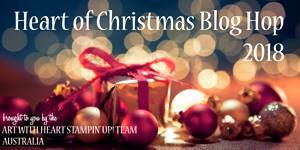 So, for the last time, welcome to tonight's Heart of Christmas blog hop with the Art with Heart team. Tonight I'm sharing card #5 in my square card series. I've enjoyed making these cards so much that I might just have to make and share a few more with you all. But for now, here is tonight's card. 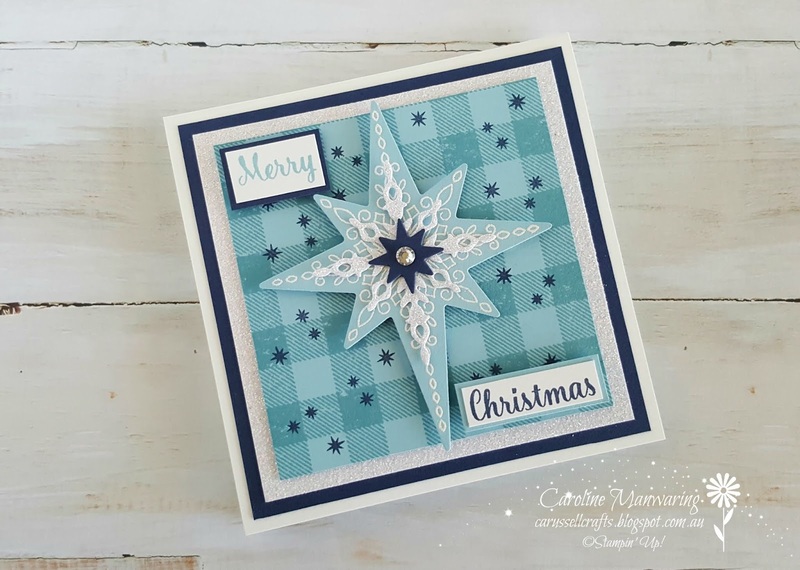 The Star of Light stamp set and coordinating dies, has been one of my Christmas favourites' since it first appeared in our 2016 Holiday Catalogue. With its gorgeous stars and beautiful sentiments, it's hard not to fall in love with it. Tonight, I've gone with a non-traditional colour scheme in Balmy Blue with accents of Night of Navy. 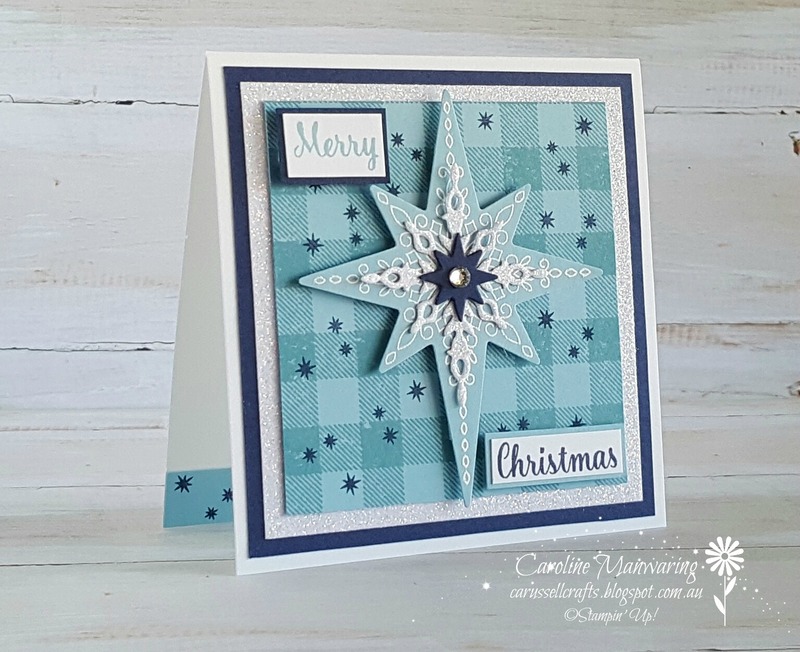 I've used the Buffalo Check background stamp and stamped tone on tone in the balmy blue and then randomly stamped the little stars in night of navy. I stamped the sentiment in both blue's and just trimmed to get each word in the different colours, and then backed them with the opposite colour cardstock. I heat embossed in white onto the solid star and layered other die-cut stars on top, finishing with a clear rhinestone. Of course with all those sparkly stars, I just had to use some of the Sparkle Glimmer Paper. Click on Claire's link below to see what she and the rest of the team have made.